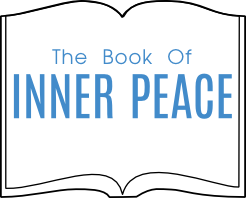 Inner Peace is peace of mind. How do you achieve peace of mind? It is a wonderful term peace of mind but it seems a concept rather than a reality. If it does become a reality it appears to be fleeting, over in a few seconds. We are going to give you a MAP to find peace of mind. Yes, We thought that was clever! To have a mind at peace seems more realistic than to have peace of mind. To control your mind is something you can do whereas controlling peace seems a bit like trying to get a cat to do what you want it to do rather than letting it do what it wants to do. So let Us start with controlling your mind. Well the reason you don’t have a mind at peace is that you, or more correctly, your Ego controls your mind. When your mind is constantly thinking, working, worrying, fretting, planning, hoping, avoiding, fearful, wishful, desperate, whirring away it is your Ego having a feast. Your Ego-controlled mind lives in the past and in the future. All your thoughts racing through your mind are about what has happened or what is possibly going to happen, and generally, how things have, or are likely, to affect you. The Fear generated by these thoughts allows your Ego to thrive. By creating all these insecurities in your mind your Ego creates wounds, which it then protects for you. For example, you feel insecure to address your feelings about a relationship so your Ego will encourage you to run away from confronting your feelings by making you so busy. I cannot stop now, I have to fetch the children, do homework, attend to poor so and so she is going through a hard time, etc., etc. I do not have time NOW to attend to my relationship issues. Your Ego-controlled mind knows that its enemy is Now so it keeps you everywhere but living in the Now. Only the Now is real, the past and the future are illusions. To illustrate, please take a breath in now. Please exhale now. Can you experience now by breathing in, in one present moment of now and breathing out in the next present moment of now. When you inhaled did the present moment of now exist for you to exhale simultaneously? No, of course not. Now We would like you to take a breath yesterday. Can’t do it now, can you? Okay, so maybe now you can take a breath tomorrow. Well that did not work out either. So have We proved Our point that time does not exist, except in the Now. Now is all there is, all there ever will be. When your Ego-controlled mind deals with the past and the future it creates an anxiety gap. This anxiety gap is full of Fear. How can you have a mind at peace if you are fearful? Therefore, peace of mind or, a mind at peace, or, Inner Peace, is not possible to find unless you are in the NOW. Now you are going to make progress to have a mind at peace! How do you access the Now? Well, once you are out of your Egos clutches you can access the Now. The Ego-controlled mind keeps introducing Fear to keep you in the past or in the future. So you need to firstly get out of your Ego-controlled mind, get out of your mind, to get into the Now. You get out of your mind by consciously labelling your thoughts as Ego-controlled thoughts, based on the past or on the future. By becoming consciously aware of the power of your Ego in controlling your thoughts, you begin to see the enemy within! Once you become more consciously aware of your thoughts, you can train yourself to say that thought does not serve me; I’m going to get out of my Ego-controlled mind. By depriving your Ego of the oxygen for its fearful thoughts, you begin to starve your Ego of oxygen. If you can consciously do it for long enough with enough commitment, your Ego-controlled mind will reduce, enabling your Love-controlled mind to gain the upper hand as the creator of your thoughts. As We have said many, many times before there is only Love or Fear, Soul or Ego. If Ego lives in the past and in the future, what lives in the Now? God, Love, Spirit, Soul, Oneness all live in the NOW. No wonder Ego sees the Now as the enemy! Well, if God, Love, Spirit, Soul, Oneness are all in the NOW how can I get there and stay there? You can access the Now through consciousness of your breath. To begin, sit, or lie, quietly. Breathe in consciously, then breathe out consciously, carry this on and follow your breathing. In, Out, In, Out, In, Out.. When you breathe, envisage the letter V. You breathe out and reach the bottom of the V then you breathe in by pushing up the side of the V. Consciously do this a number of times. When you are more relaxed, while continuing to breathe, start looking inside yourself for the Part of You that is God, the Part of God You Really Are, your Soul. Try to find that at the bottom of the V.
At the bottom of the V, you might hear another breath, if you listen inside of yourself. That is the breath of your Soul. If you like, Gods breath, inside of you. Now you are accessing the Now, where God is, where Love is. In the Now, there is no Fear, only Love. If you have thoughts Now in your Love-controlled mind, they should be thoughts of beauty and peace. For example, butterflies in a forest, or waves lapping against the seashore on a tropical island. Peace and Love, Love and Peace. Hopefully you will enjoy accessing the Now so much you will not want to leave this peace of mind, mind at peace, inner peace. This is your birthright. You are entitled to be in the Now always and all ways. This is where you really live. Everything else is not real an illusion. Only your Ego can drag you back to unreality by telling you that this is not real, live in the real world, I, the Ego, can give you hope, desires, promises and, of course, Fear, but Fear will protect you so don’t fear it. Ha, Ha! In the Now, you rely on your God-given intuition, and you enjoy effortless life. In the Now, everything runs smoothly, peacefully, effortlessly. In the Now, you are detached from the results because they occur in the future. You TRUST To Rely Unto Spirit Totally, and without knowledge of Fear, you only know LOVE Let Our Vibrations Evolve. In the Now, you know God will give you what you need (not want), when you need it and the timing is always perfect. Trust the process to unfold as God desires, stay in the Now and Be Love. The Now will endow you with a mind at peace, peace of mind and inner peace.